Let me just start off by saying that I LOVE blogging. Lately though, I've found myself in a little bit of a blogging slump. It's not because I don't like blogging anymore, it's simply that life has just gotten in the way! There's a lot of reasons that some of us might fall into a blogging slump, and it can be very discouraging when you've put all this time into creating a successful blog. 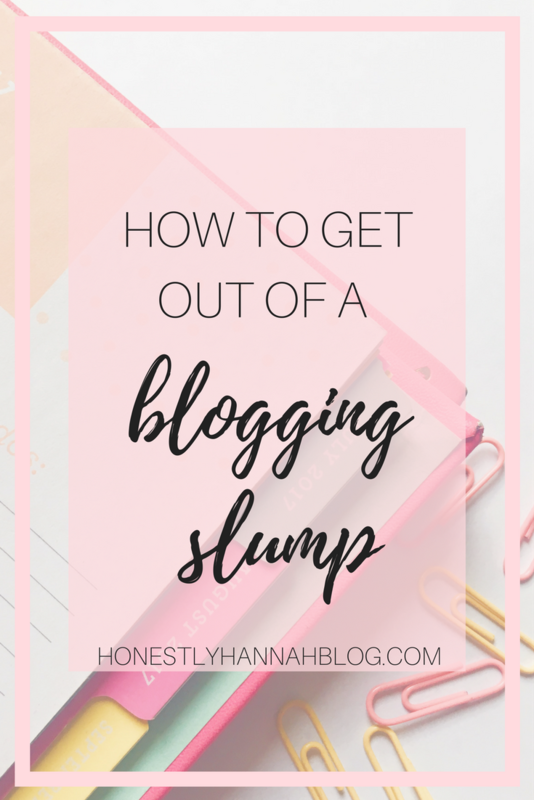 If you're a blogger, no matter who you are, it's inevitable that you'll probably fall into a blogging slump at some point. I wanted to share a few tips for working your way out of the slump and getting back into your favorite hobby! Identify and acknowledge the problem // First off, there's a number of reasons that you might find yourself in a blogging slump. These are just a few of the things that can send many of us into a bit of a blogging slump. Personally, I recently started a full time Monday-Friday internship and by the time I get home at 5 pm, I just want to sit around and relax. I haven't had as much free time to sit down and blog. Whatever the reason for your lack of motivation might be, it's important to realize why you're feeling so unmotivated. Brainstorm, brainstorm, brainstorm // If you have a lot going on, the last thing you want to do is sit down the night before you want to have a post up and start thinking of something to write about. When you're feeling unmotivated and like you've entered a blogging slump, keep in mind that having ideas available to you when you need them can be a great source of hope. Take just a few minutes each day to write down some ideas for future posts, or even ask your followers to provide you with some requests to get you moving again. Take a break // It's easy to feel guilty when you miss a post date or forget to post on social media. BUT it's so important to allow yourself to just take a break if you need it. There's no reason you should be blogging if you aren't enjoying it. Take some time off from blogging and regroup, and I promise you'll start feeling inspired soon! Don't force it // Your followers and readers can tell when you aren't into it. Just remember that your readers enjoy your posts and want to see you happy with your content! Don't force yourself to write that gift guide for that upcoming holiday if you just don't want to. Focus on writing posts that matter to you and that you're proud of! 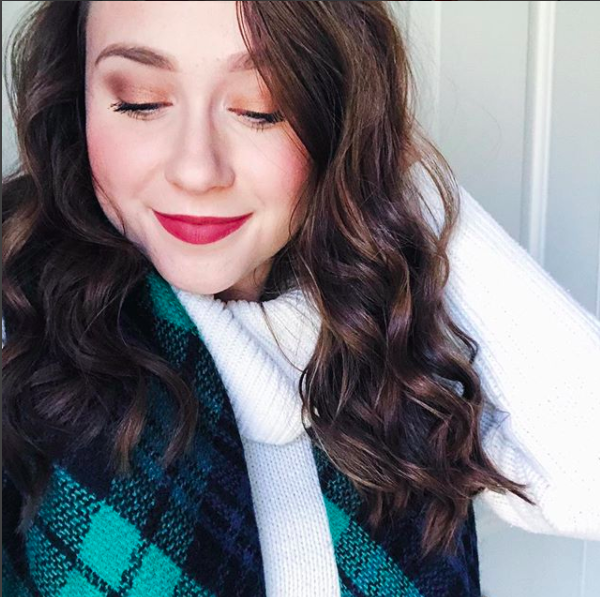 Thank you guys as always for following along with my blog! Forgive me for not posting as frequently, but I promise I'm getting back into it and working some blogging into my busy schedule this summer :) Expect posts Mondays and Thursdays! Running out of ideas and being busy are usually the reason for my slumps! Taking a break then coming back after a week or month always does help! Thank you very much for sharing interesting information that will help me to have best knowledge about blogging and tackling different things that I may face. This really helps thanks girl! Thank you for the advice, Hannah! I'm in a bit of a slump myself right now and it makes me feel better that other bloggers have experienced the same.